Black mascara is so passe, now add color to your eyelashes with BeYu Color Play Lash Tip. These mascaras come in statement colors for eye-catching highlights with WOW effect! Intense color transfer from first application. Voluminous texture with optimal durability. Various application options: either to the tips of the lashes or the entire lash length. 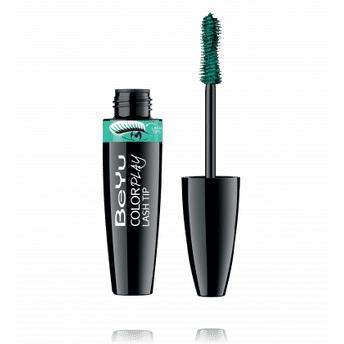 Alternatively, you can also find many more products from the BeYu Color Play Lash Tip Mascara range.